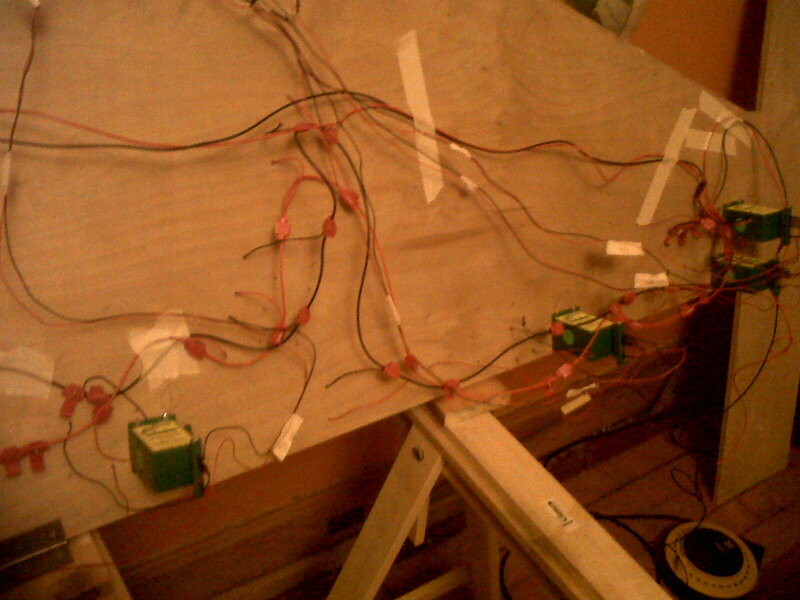 Today, the wiring of the layout is finished and has been tested for DC running. I am confident that it will work for DCC as well; I just haven't had time to bring out the DCC control system and plug it in. But, everything works: the points motors, the polarity switching for the electrofrog points and there is a strong current of electricity to all parts of the circuit. Here is the underside with the 4 Tortoise points motors in position. 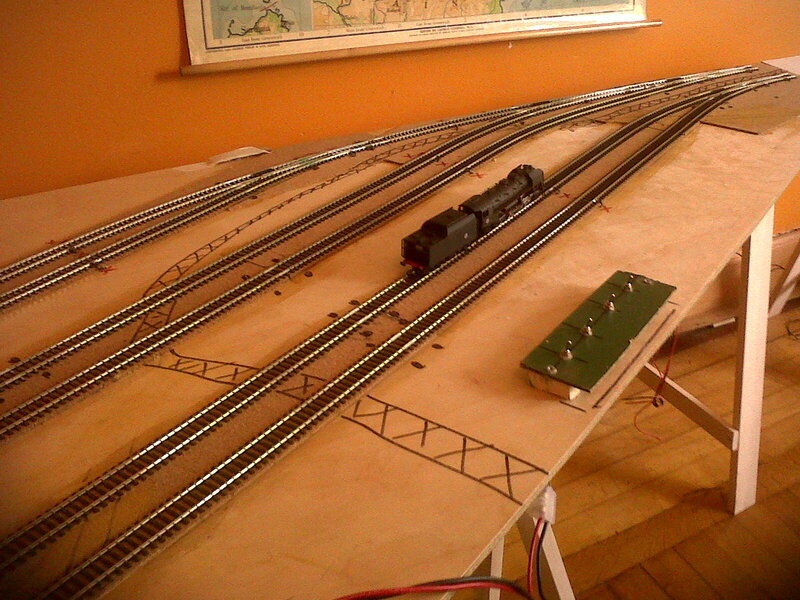 That's a DC Jouef SNCF 141R on the layout - sorry you can't see it move - but it does. Will confirm that it works for DCC tomorrow - but I'm confident it will; the wiring is just the same. Continuing to listen to that Japanese reggae crew, Dry and Heavy. 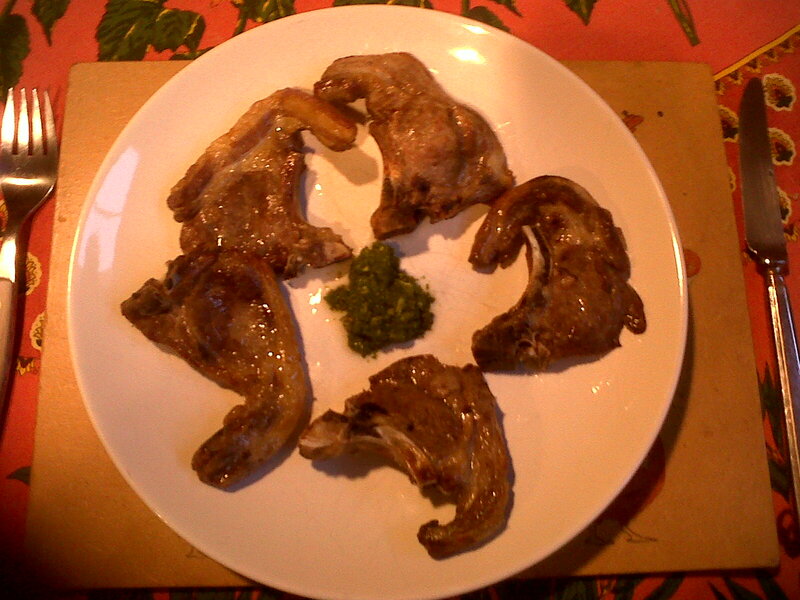 Several lamb chops with a dod of mint sauce from the garden.